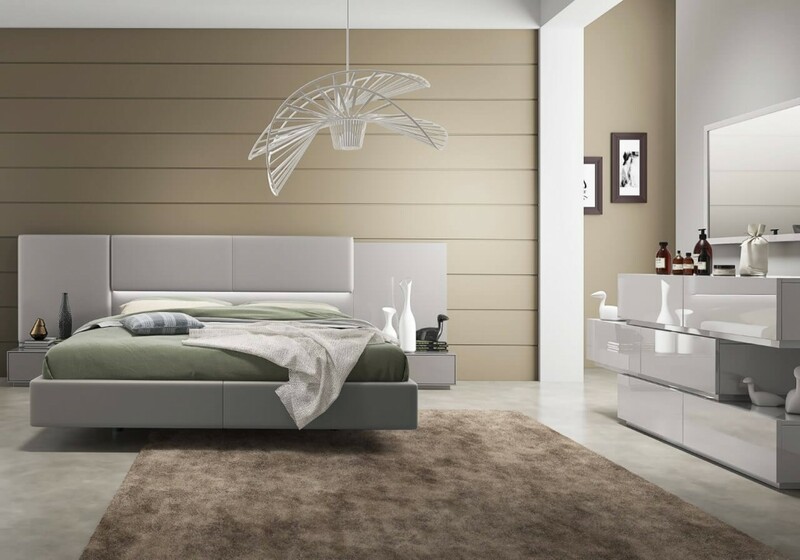 The Calabria modern bed is going to be a great addition to any bedroom for several reasons. This bed gives off a nice classic style, with modern sleek lines that provide a feeling of simple and easy life. 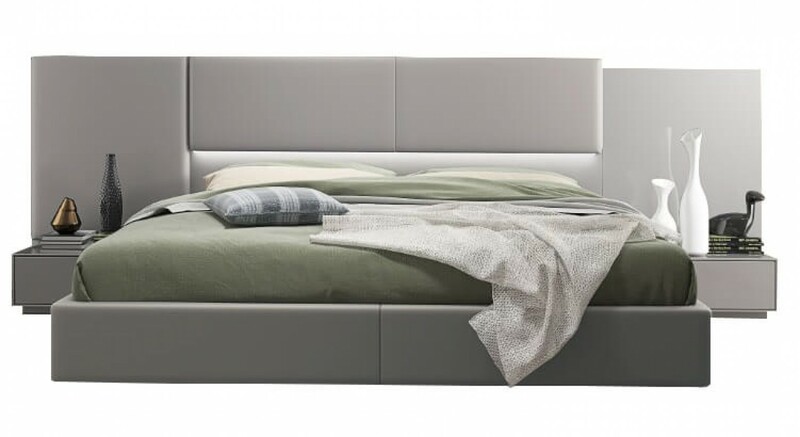 Despite no intricate designs, the Calabria Modern bed offers a sense of sophistication and luxury with ease. This dark grey bed has been made by pure teak wood and features premium quality upholstery that makes a great first impression. This bedroom set is the ideal choice for those homeowners who are looking for a queen-size bed that is neutral in design and color and can complement other items in the bedroom. The bed features a low design that immediately creates a casual look, making it the perfect centerpiece for any bedroom set. 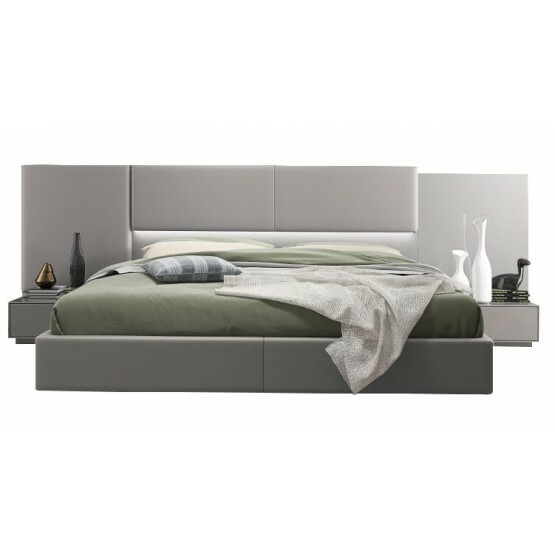 What sets the Calabria Modern bed apart is its unique design that looks modern and classic at the same time. The solid wood and veneer compliments all types of bedroom décor and also creates a striking look for the Calabria Modern bed. The bed features a sturdy build and is extremely comfy which ensures that you’re going to have many a beautiful dream for several years to come. W113" x D88" x H24"
W129" x D88" x H24"